Lightning = ENABLED to your level. THUNDER_RUMBLE (sound-ID 182) in the wad for your level. If the letter is still a g (for general) you don't have to do anything. If not, add the letter for your level or change the letter to g. The thunder will be heard in all outdoor rooms and their adjoining rooms. In Street Bazaar Lara must cross a small bridge. But the bridge has been damaged and the authorities have blocked it off. This takes place during a thunderstorm as bolts of lightning constantly strike into a kind of lift with a metal surface nearby. Lara must weigh the lift down with a pushable to make the lightning find a new target (the blockade on the bridge) in order to proceed. It's one of the most peculiar setups in TR4. It can be done in two differents ways - Core Design's way or the shortcut. Add the letter for your level or change the letter to g (general). Please note: to get the proper lightning you must have the original sprite 28: or one looking very like it in your wad. This is a very sensitive setup and if your setup deviates just a bit in PUSHABLE_OBEJCT-slot, trigger type, number of codebits turned on or number of LIGHTNING_CONDUCTORs, it may not work correctly. The setup reqires two LIGHTNING_CONDUCTORs, a PUSHABLE_OBJECT1, a FLAME_EMITTER2 and two ANIMATING8s. 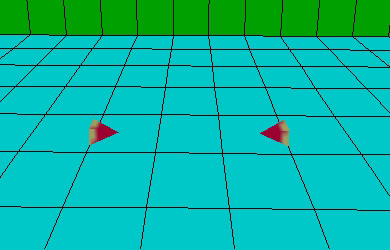 There must beno flipmap number 1 in your level. 1. 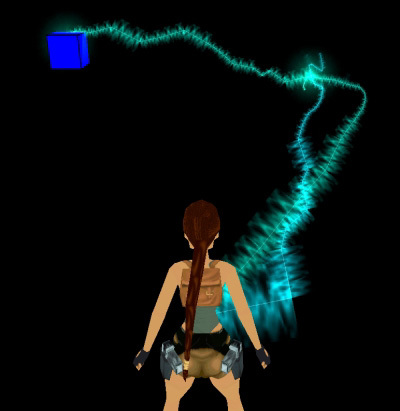 Place the two LIGHTNING_CONDUCTORs - the first one where Lara must place the PUSHABLE_OBJECT1, and the second one where a second bolt of lightning must destroy a blockade. The two LIGHTNING_CONDUCTORs can be placed in different parts of the level. 2. Open the object window for the first LIGHTNING_CONDUCTOR (highlight it and type 'o'). Turn all five codebits on (black) and give it OCB = 1. 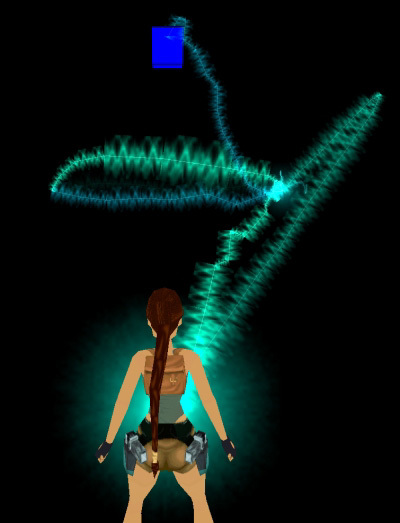 This LIGHTNING_CONDUCTOR is deadly, if it hits Lara, and it's active from the beginning of the level. 3. Open the object window for the second LIGHTNING_CONDUCTOR, turn all five codebits on (black) and give it OCB = 2. This LIGHTNING_CONDUCTOR is harmless to Lara, but only strikes once in all. And it's active from the beginning of the level but doesn't work until the LIGHTNING_CONDUCTOR setup is activated. 4. Place one ANIMATING8 on the same block as the second LIGHTNING_CONDUCTOR (the one with OCB = 2). This is the blockade which is shattered by a bolt of lightning. There's no need to do anything more about it. In this tutorial the yellow cube is my version of ANIMATING8. Note: The two ANIMATING8s must be the ones with the lower movable number of their kind. 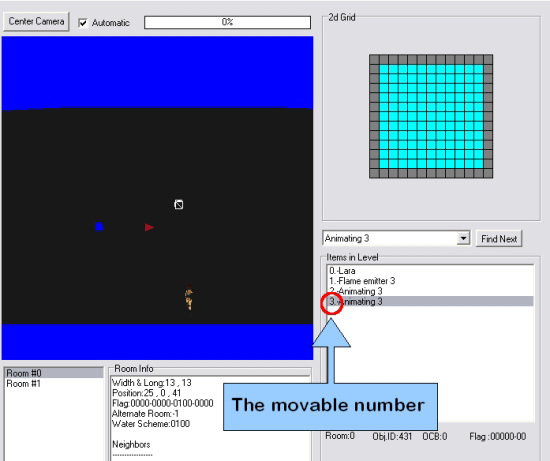 See the end of this tutorial for an explanation of movable numbers. 5. Place a second ANIMATING8, where you please. 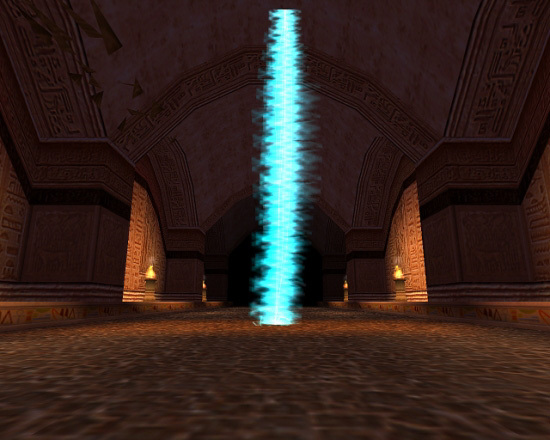 Core Design used a 'phony room' to show the destruction of the blockade during a cutscene. Thus the need of two of the same blockade: one for show and one for real. This step is just to be safe from bugs. 6. Place a FLAME_EMITTER2 somewhere in the level. Open the object window for the FLAME_EMITTER2 and give it OCB = -1. Turn codebit 5 on (black) and the other codebits off (grey). This FLAME_EMITTER2 will never be seen, because FLAME_EMITTER2's with OCB = -8 - -1 serve only to flip flipmaps with the positive number (a FLAME_EMITTER2 with OCB = -3 will flip flipmap number 3 in the level, when triggered). So when they are triggered, they aren't lit, and you don't have to worry about the location of this FLAME_EMITTER2. It's because of the OCB-code of this object that there is no room for a flipmap number 1 in the level. 7. On the same block as the LIGHTNING_CONDUCTOR with OCB = 1 place the trigger for the FLAME_EMITTER2 mentioned above. Open the trigger window and make it a heavyswitch trigger and turn the codebits 1-4 on (black) and codebit 5 off (grey). The heavyswitch trigger is needed when a specific PUSHABLE_OBJECT is supposed to activate the trigger. 8. And finally open the object window for the PUSHABLE_OBJECT1 and turn the codebits 1-4 on (black) and codebit 5 off (grey). Then this pushable is the only one able to activate the heavyswitch trigger. 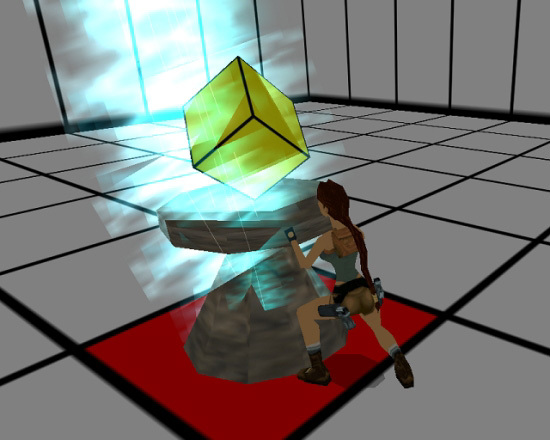 In the original game Lara can choose from several pushables, but only one is heavy enough to weigh the lift down. It's the combination of the active codebits in the PUSHABLE_OBJECT1 and the heavyswitch trigger that ensures that only this PUSHABLE_OBJECT is able to activate the heavyswitch trigger. I describe a similar connection between pushables and heavyswitch triggers in the Lost Library setup later in this tutorial. After a few moments - Core Design used a flyby - another bolt of lightning hits the ANIMATING8, which breaks along with the other ANIMATING8. From then on there is no more lightning from either of the LIGHTNING_CONDUCTORs. 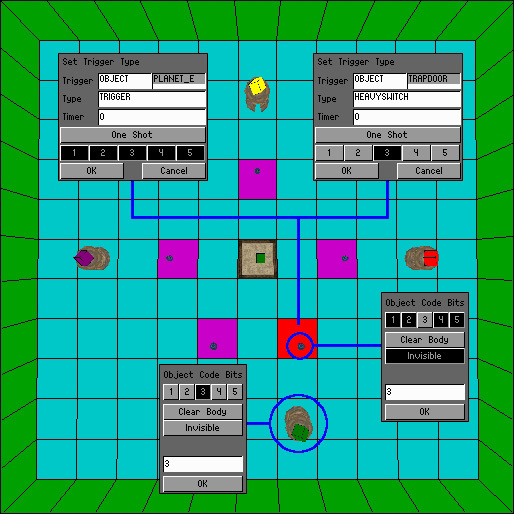 It seems the very thing which activates this setup is when the game engine receives the very first call to flip flipmap 1. So if you want to skip the PUSHABLE_OBJECT1, the FLAME_EMITTER2 and the heavyswitch trigger, all you have to do is to use a flipmap number 1 in your level and flip it. This setup also seems a bit more stable so you may be able to use more of the deadly LIGHTNING_CONDUCTORs than just one. But test it to see if it works for you. You still have to place the two LIGHTNING_CONDUCTORs with all codebits turned on (black) and OCB = 1 for the deadly one and OCB = 2 for the one to produce a single bolt of lightning. And you still have to use the two ANIMATING8s, but aside from that all you have to do is set up a trigger for flipmap 1. 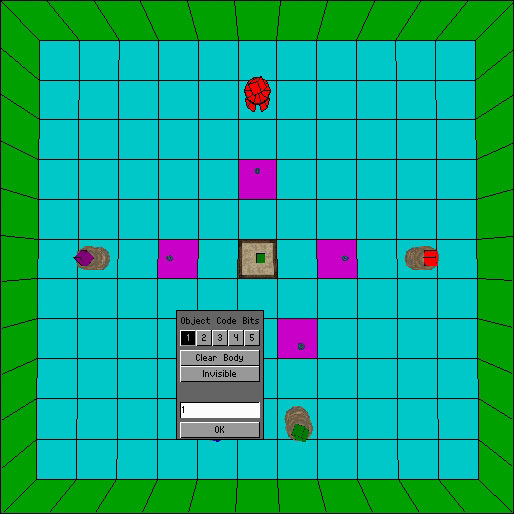 The advantage is that you are free to choose how to trigger the flipmap. I've made an example with a creative use of the shortcut setup below. 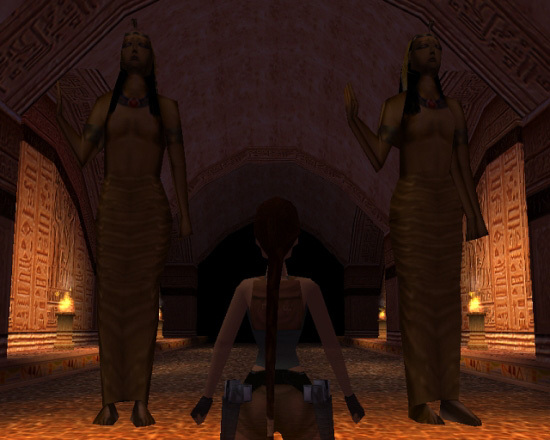 In the example I toggled opacity on the portal behind the statues so an invisible wall would prevent Lara from going past them. 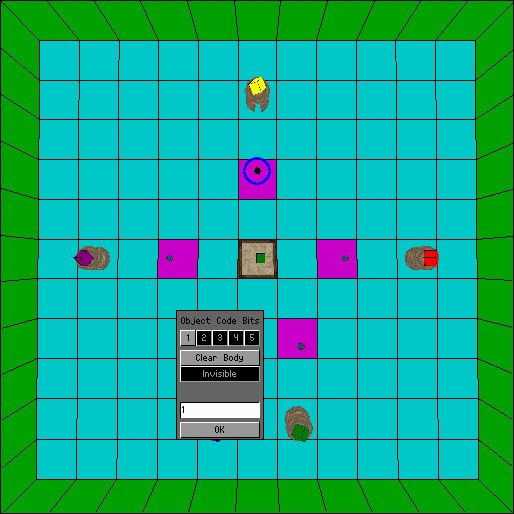 I made the room flipmap 1 and in the flipped room, the portal was a standard open portal. In this case I didn't use the deadly lightning as a danger to Lara but as a hint. So I trigged a FLAME with a pickup trigger under each of the three wrong gems. A pickup trigger under the right gem flipped flipmap 1. 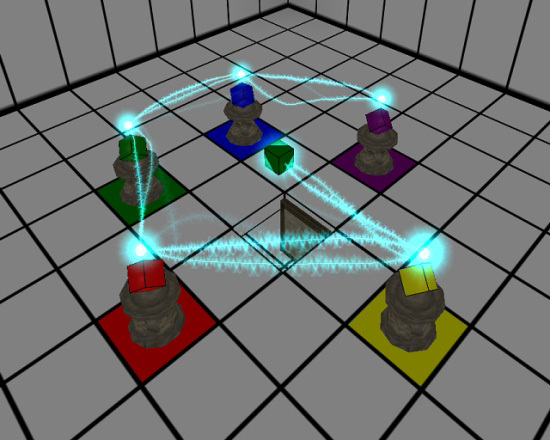 This call for flipmap 1 activated the harmless LIGHTNING_CONDUCTOR, which then 'destroyed' the two statues (ANIMATING8's). 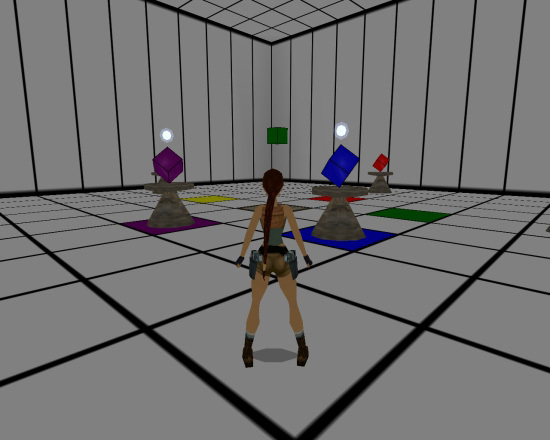 And in the flipped room Lara could go through the portal. 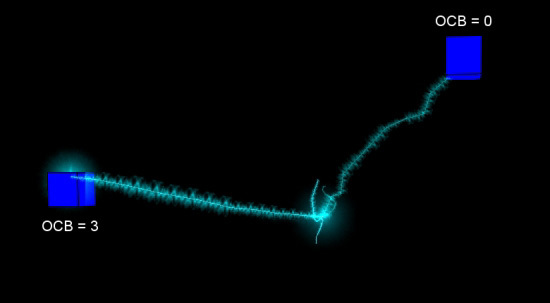 The bolt of lightning reaches down to the nullmesh for the LIGHTNING_CONDUCTOR. Place it at floor height, if you want it to strike into the ground, or higher, if you want it to look like it strikes into something on that block (like the gem in above example). But you may risk that Lara is able to get safely under a LIGHTNING_CONDUCTOR, that's placed higher than floor height. 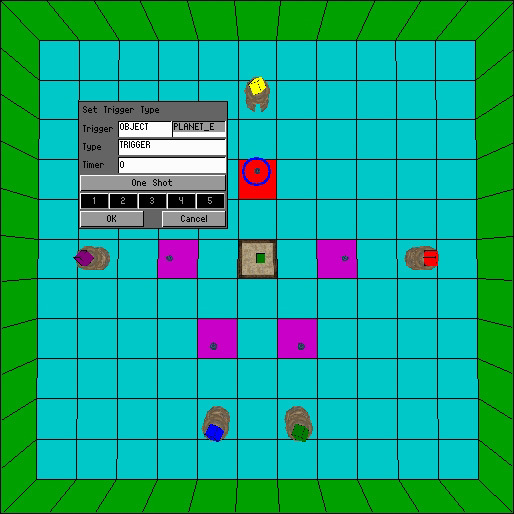 You can only have one setup in a level, because when the game engine receives the very first call to flip flipmap 1, the setup will be activated. And this doesn't depend on which setup version you've used. In The Lost Library one of the puzzles is about the solar system, the way the Greeks believed it was arranged - the earth in the centre and a handful of planets (including the sun and the moon) circling around it. 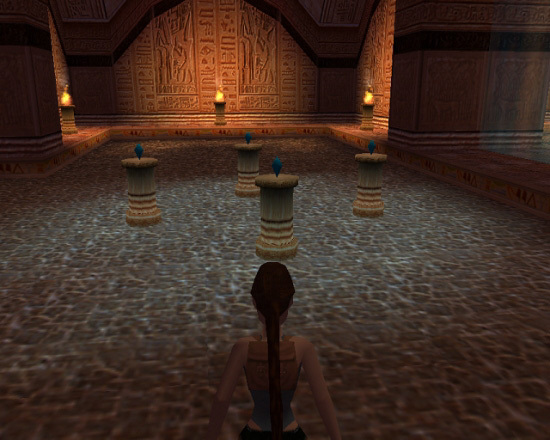 Lara must push the globes into place, and each time, one of them is placed in the right spot a smal ghostlike or holographic planet object (the PLANET_EFFECT) appears above it. When all five globes are in place, the five PLANET_EFFECT's exchange electric arcs with each other and with an ornament (ANIMATING4) above a raising block that is lowered. Add the letter for your level or change one of the letters to g (general). Please note: to get the proper electric glow at the origin of all arcs you must have the original sprite 11 (the shine-sprite) or one looking very like it in your wad. And for the electric arcs you must have the original sprite 28: or one looking very like it. 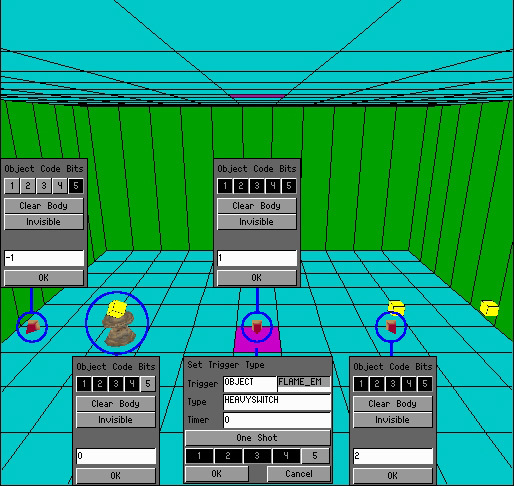 The setup requires 5 PLANET_EFFECT's and one ANIMATING4. The five PLANET_EFFECT's must have OCB codes 1-5 and must be triggered. 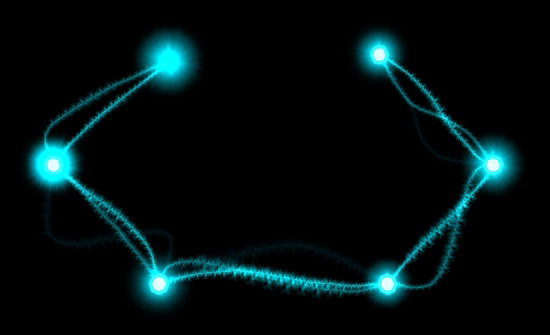 When all five PLANET_EFFECTs are triggered, they and the ANIMATING4 will be connected by electric arcs like pearls on a string. If one of the involved PLANET_EFFECT's is anti-triggered, the string of electric arcs is also turned off, but is turned on again when the anti-triggered PLANET_EFFECT is re-triggered. However, the anti-triggered PLANET_EFFECT doesn't become invisible when anti-triggered - it just stops animating. An ANIMATING4 must be present in the level or the game will crash when the last PLANET_EFFECT in this setup is triggered. A PUSHABLE_OBJECT with the same OCB-code as an PLANET_EFFECT can no longer be moved when the PLANET_EFFECT is triggered. And this is irreversible. Lara will never be able to move the pushable again even if the corresponding PLANET_EFFECT is anti-triggered. It only works for one pushable per OCB-code (the one with the lower movable number - see Movable number at the end of the tutorial). You can only have one setup in each level. If you trigger more PLANET_EFFECTs than this, strange things happen (strange sounds or disappearing PLANET_EFFECT's). But if you avoid the planet effect setup by, say, skipping OCB = 1 and use numbers higher that five, you can have a whole array of PLANET_EFFECT's in your level and use them to block more PUSHABLE_OBJECT's than five. 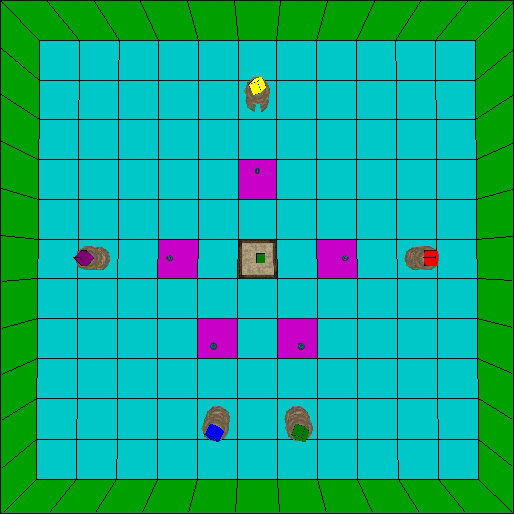 Because the setup in the version of The Lost Library that came with the editor isn't all correct - while the one in the original game is - I'll describe a similar setup with five pushables, matching PLANET_EFFECT's and a trapdoor, which opens when all five PUSHABLE_OBJECTs are in place. The tricky part of this setup is that each PUSHABLE_OBJECT when placed on the correct block must both trigger an object (the PLANET_EFFECT) and trigger a part of another object (the TRAPDOOR1). To do this you must work with codebits, partial triggers and heavyswitch triggers. The heavyswitch triggers are required to make sure that each PUSHABLE_OBJECT is only able to activate the triggers on one specific block. 1. 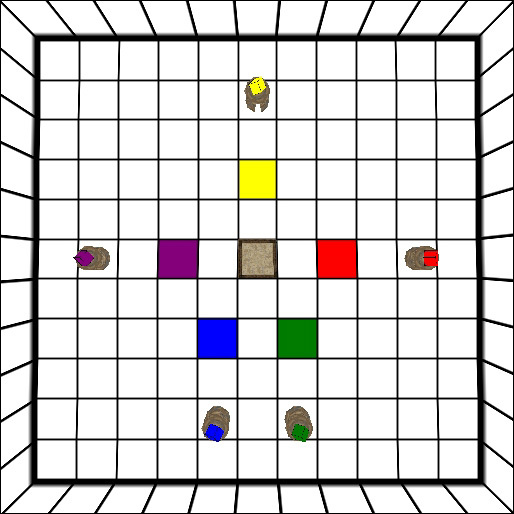 Place five triggers for the trapdoor. 2. Open the trigger window for each trigger and select trigger type 'heavyswitch'. 3. For each trigger only one codebit must be turned on (black). The remaining four must be turned off (grey). This ensures that all five PUSHABLE_OBJECT's must be on their corresponding block to open the TRAPDOOR1. In the picture below the trigger window for the first trigger for the trapdoor is open and I have written the number of the codebit, which is turned on in the trigger window, on the block for all five partial triggers. 4. 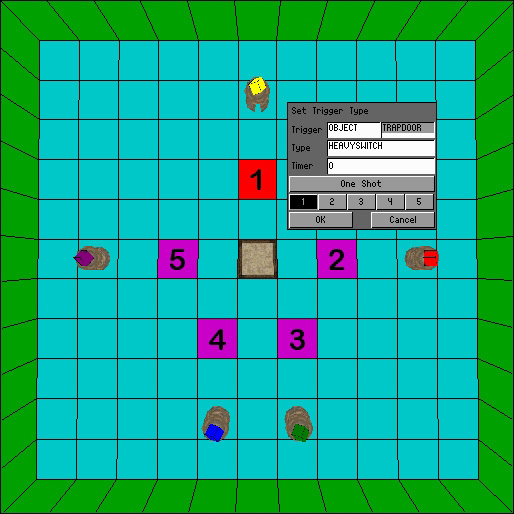 Place the ANIMATING4 (I have placed mine over the trapdoor) and adjust it to the desired height. There's no need to do anything more about this object, because it doesn't need a trigger. 5. Place the five PLANET_EFFECT's - one over each trigger - and adjust them to the desired height. 6. Place an ordinary trigger for the PLANET_EFFECT on the block it hovers above. In the example below I have used the planet effect over the heavyswitch trigger with codebit 1 turned on (the one in the blue circle). So you will have to tamper with the PLANET_EFFECT itself to make it active, when the correct PUSHABLE_OBJECT is in place. 7. Open the object window (press 'o') for it and press the 'invisible' button (to make it invisible before it's triggered). To make it part of the placet effect setup you also give it OCB = 1. 8. Codebit 1 must be turned off (grey) and all other codebits turned on (black). So this PLANET_EFFECT is almost active from the beginning. It just needs that last fifth, which comes from the trigger below it. But also the pushable, which is supposed to activate the trigger, must have its settings adjusted. In my example it's PUSHABLE_OBJECT1, but there's no connection between the pushable-slot and the OCB's for the PLANET_EFFECT's - you can use five pushables of the same kind, if you want to. 9. Turn codebit 1 on (black) and leave the other codebits off (grey). This ensures, that the PUSHABLE_OBJECT1 will be able to activate only the heavyswitch trigger with codebit 1 turned on and its partner PLANET_EFFECT above. 10. And give the PUSHABLE_OBJECT OCB = 1 to make sure it stays put, once Lara has placed it on the correct block (Lara will no longer go into her ready stance and prepare for a push or a pull). This special effect only works in connection with the object PLANET_EFFECT and does so, no matter if you use the planet effect setup or not. - The heavyswitch trigger number three for the trapdoor must have codebit 3 turned on and all other codebits turned off. - The planet_effect above it must be invisible, have OCB = 3 and codebit 3 turned off and all other codebits turned on. - The trigger for the PLANET_EFFECT must be an ordinary trigger. - The PUSHABLE_OBJECT3 must have OCB = 3, codebit 3 turned on and all other codebits turned off. While I wrote this tutorial, I discovered, that none of the PUSHABLE_OBEJCT's meant to be locked in place by PLANET_EFFECT's can be movable number zero (0). If one of them is movable number zero, Lara can still move this one, after it has reached its destination and has triggered the PLANET_EFFECT with the same OCB-value. See the end of this tutorial for an explanation on movable numbers. The most common electric arc effects use the FLAME_EMITTER3 with an OCB-code greater than zero. When OCB = 0, the FLAME_EMITTER3 makes harmful flames emitting from a grill. But with all other OCB-codes it makes electric arcs, which are harmless to Lara. Please note: to get the proper electric glow at the origin of all arcs you must have the original sprite 11 (the shine-sprite): or one looking very like it in your wad. And to get the proper electric arcs you must have the original sprite 28: or one looking very like it. 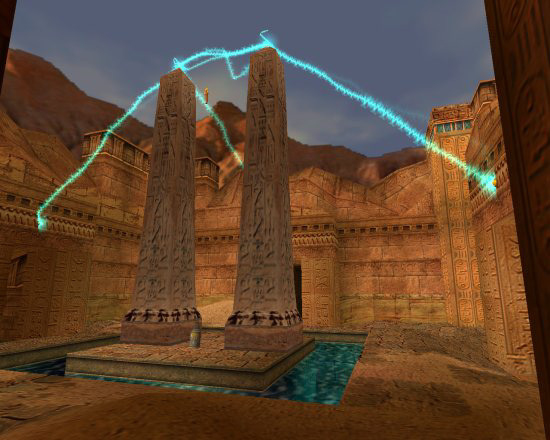 To get the effect from Temple of Karnak, where two electric points exchange arcs, you have to use one FLAME_EMITTER3 with OCB = 1 and one with OCB = 2 and place them one block apart. 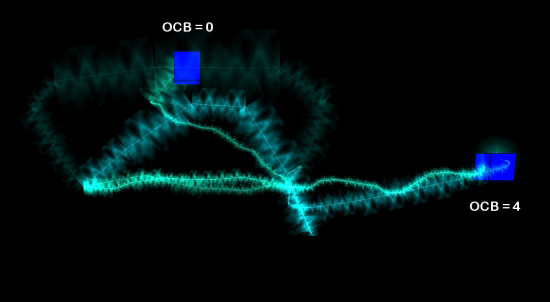 The FLAME_EMITTER3 with OCB = 2 must point towards the one with OCB = 1. I don't know if it's necessary to make the one with OCB = 1 face the one with OCB = 2. But that is how it's done in Temple of Karnak, so do that too. This is a simple and reliable setup, and you can use as many of this or of single FLAME_EMITTER3's with OCB = 1 or 2, as you wish in a level, as long as you anti-trigger them, when Lara has left the area. See General notes about FLAME_EMITTER3 for the possible complications. 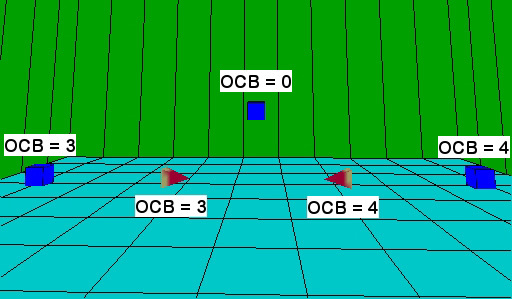 OCB = 3 is an electric point exchanging electric arcs with two ANIMATING3's, no matter where in the level they are placed - the arcs go through walls and rooms and cross the void between rooms. 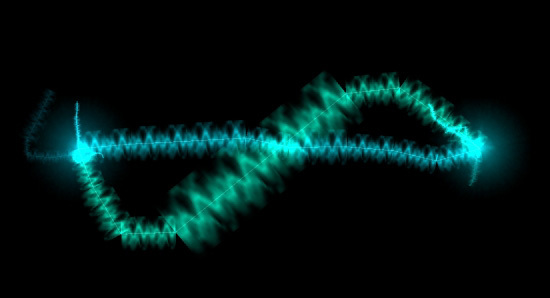 And the longer the arcs are, the cruder the electric waves appear. One ANIMATING3 must have OCB = 0 and the other OCB = 3. The blue cube is my version of ANIMATING3 in this tutorial. The ANIMATING3s don't have to be visible or trigged, but make sure the one with OCB = 0 is the first one of its kind you place in the level at all. The reason for this is, that a FLAME_EMITTER3 with OCB = 3 or higher will exchange arcs with only one of each ANIMATING3 with the required OCB-code, and it will always be the one with the lower movable number. See the end of this tutorial for an explanation of the movable number. Due to this behaviour you can only use this setup once in a level, because all FLAME_EMITTER3's with OCB = 3 in a level will send sparks to the same two ANIMATING3's. And unless you place all the FLAME_EMITTER3's with OCB = 3 near the two ANIMATING3's, the sparks will reach through walls, which will look odd. If one or both of the ANIMATING3's are missing, the 'loose' arcs will connect to movable number zero in the level, no matter of what kind. 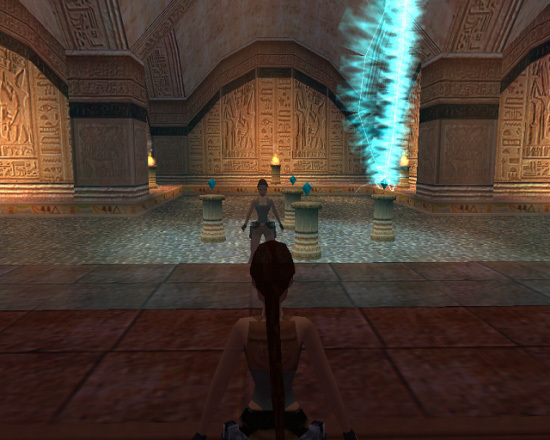 Because most level builders place Lara as the first object, it's usually her who becomes the target. The arcs are still harmless, but will follow her for as long as the FLAME_EMITTER3 is active, which may irritate the player to death - if not Lara. If movable number zero has been deleted, it's much more difficult to figure out which object the 'loose' arcs will aim at. This is because there's no logic (or at least a logic beyond me) in the order the editor assigns numbers to objects when they are placed. And the logic gets even more difficult to figure out when objects are deleted and the editor begins to recycle their numbers. Again, the electric arcs connecting to the two ANIMATING3's will go through anything and across the level if necessary. And for the same reason as for OCB = 3, the FLAME_EMITTER3 with OCB = 4 can only be used once in a level, or as several duplicates near the two ANIMATING3s. In Sacred Lake Lara places a figurine of the sun goddess on a cone. The figurine then floats high in the air, while the two obelisks next to it exchange electric arcs with each other and with three golden plaques above three doorways. 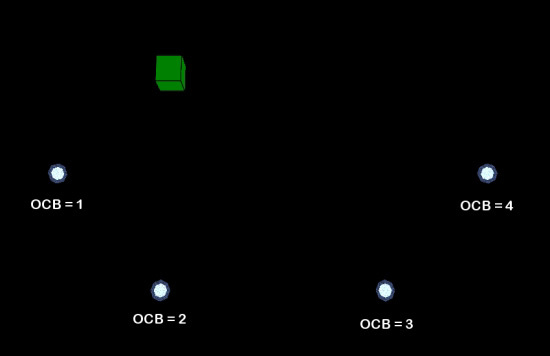 To get the electric effect you have to use one FLAME_EMITTER3 with OCB = 3 and one with OCB = 4 and place them one block apart. 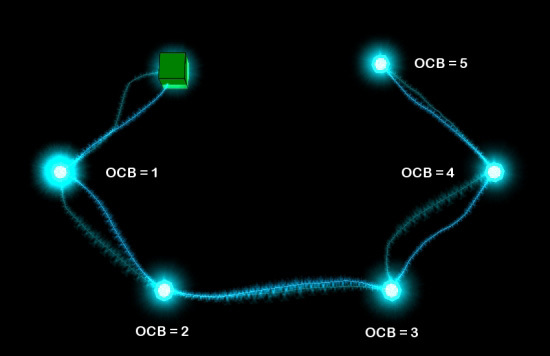 The FLAME_EMITTER3 with OCB = 4 must point towards the one with OCB = 3. I don't know if it's necessary to make the one with OCB = 3 face its counterpart, but do that too just to be safe. Furthermore you have to place three ANIMATING3s. One with OCB = 0, one with OCB = 3 and one with OCB = 4. As mentioned, each of those must be the first of its kind with that OCB-code. Any other positive OCB-number will make the FLAME_EMITTER3 behave almost like OCB = 3: The sparks will reach out for two ANIMATING3's - one with OCB = 0 and one with the same OCB-code as the one, you have assigned to the FLAME_EMITTER3. And if one or both of those ANIMATING3's are missing, the sparks will reach out for movable object number zero. The only difference is, that if that object is Lara she will be encircled in a blue ball or glory of lightning (like for OCB = 4). It also seems that this glory grows in size and intensity with increasing OCB-codes, but it's more visible in screenshots than in game. Remember to anti-trigger the FLAME_EMITTER3's when Lara has left the area, because one FLAME_EMITTER of any type counts as one active light. And if you have too many active lights at the same time, you may experience the flare bug (flares don't give any light until Lara throws them away), which means your level is about to crash. It seems the game engine only has a limited capacity for the electric arcs. 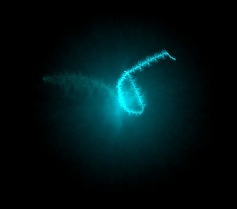 The more active FLAME_EMITTER3's with OCB-codes above 1 at the same time, the fewer electric arcs per FLAME_EMITTER3. They are so to speak 'diluted' by their numbers.